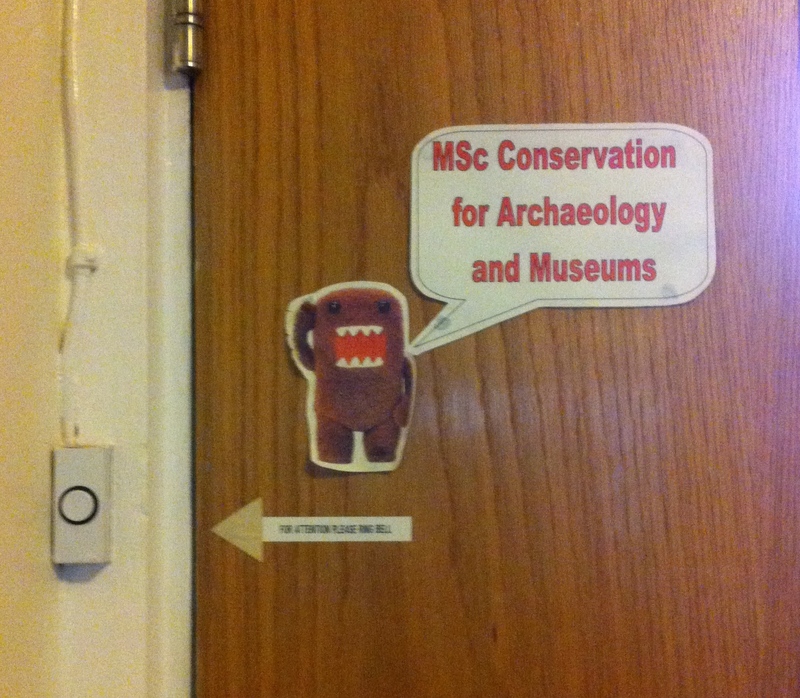 Welcome to the conservation lab at UCL’s Institute of Archaeology in central London! Here, students in the MSc Conservation for Archaeology and Museums learn the practical techniques and critical thinking skills necessary for a career saving innocent objects from horrific fates like bronze disease and improper storage. 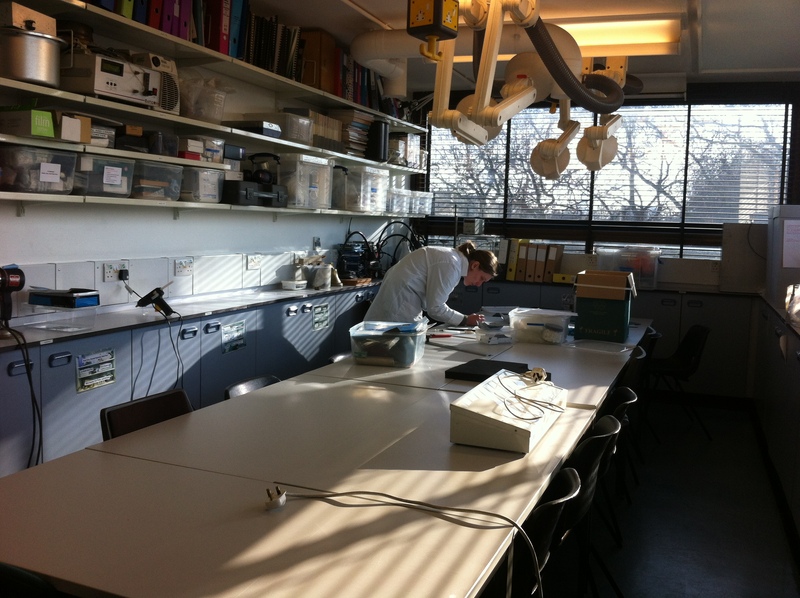 The Institute of Archaeology has been the home to conservation students for many years, as conservation was first established at the Institute of Archaeology in 1937 (thankfully, the labs have been refurbished several times since then). 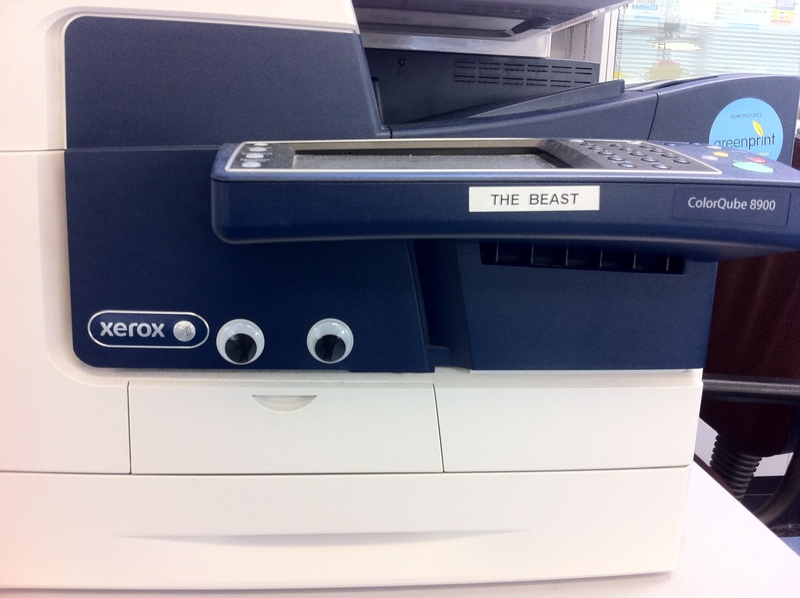 If you look closely, you can see that years of students have made their mark on the lab. 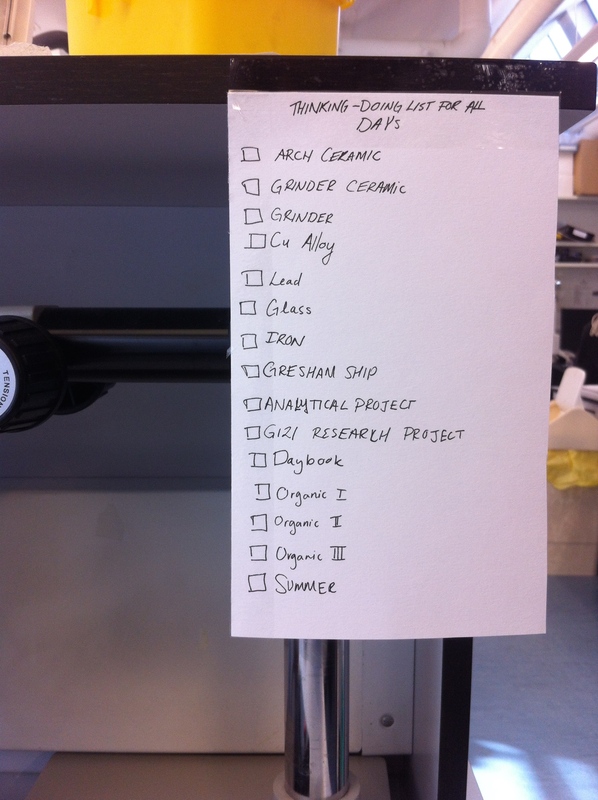 These little random inside jokes spread throughout the lab are one of my favourite parts about working and learning here. 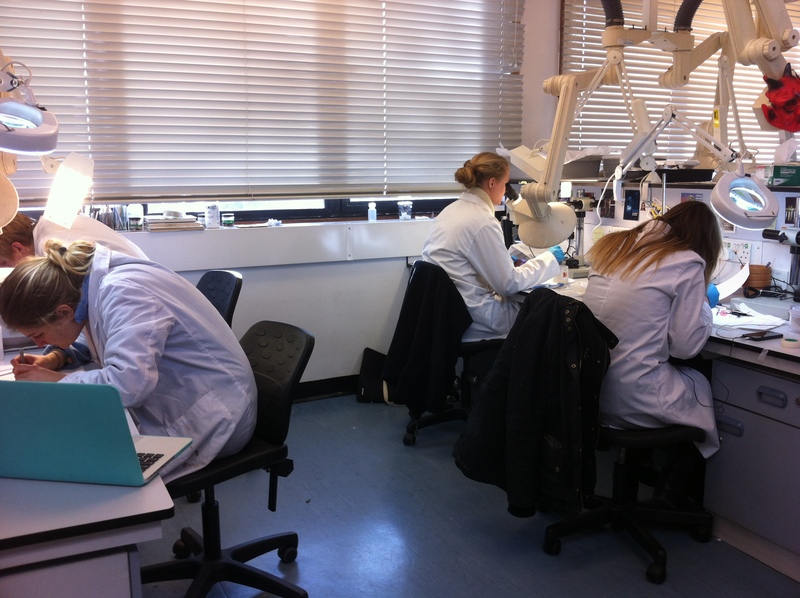 Myself and the other MSc students in the lab are in the middle of a three year course on the conservation of objects at UCL. The first year consisted of the MA Principles of Conservation, a course studying the theoretical basis of conservation and its management. 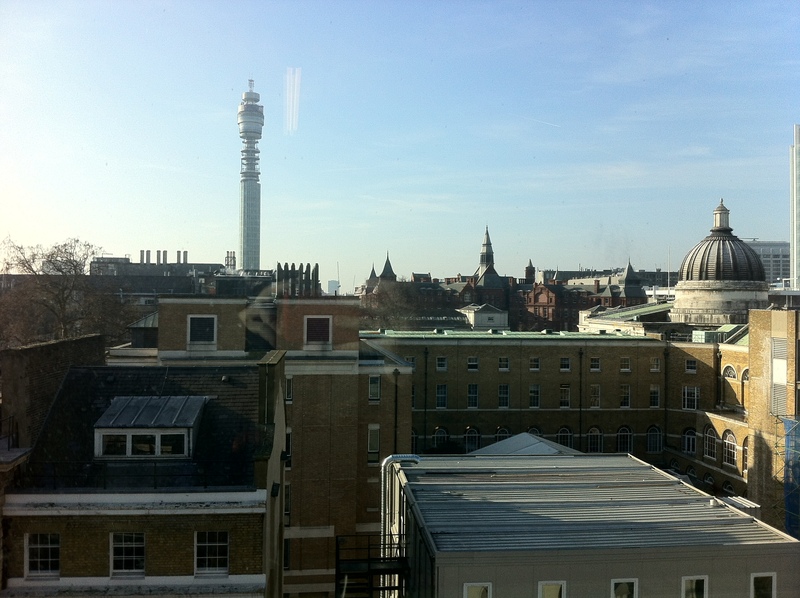 Next came the MSc, where we spend one year in this lab and another year in internships across the United Kingdom. This year we work on a variety of objects, from ceramics and glass to metals and organic objects, from archaeology, social history, and ethnographic collections. We also participate in a variety of related projects: conducting collections surveys, developing outreach programs with communities and for small museums, doing conservation science research, and much more. We tend to be very busy. Here at Conservation Lab Chat, we hope to open this busy lab up to those who might never otherwise visit (although we love visitors!). We will regularly post about our projects, treatments, and the other interesting things that happen in the lab. We hope you enjoy your time here. 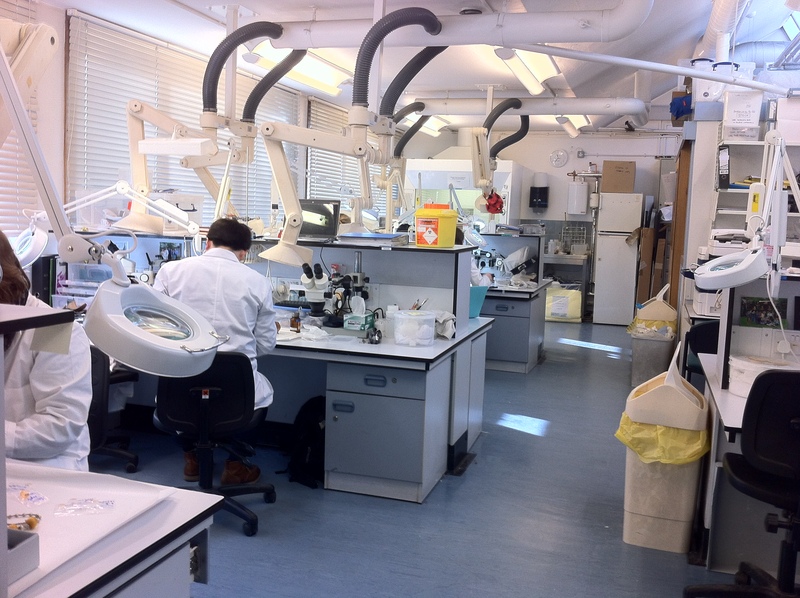 Welcome to the conservation lab, and welcome to our little corner of London! Postscript: If you like this, you should check out the other conservation blog at UCL, which talks about modern conservation issues and news: Conversations on Conservation of Cultural Heritage.